First and foremost, there is no such thing of an All Star snub. Blake Snell should have made the All Star team, and he will. It always happens this way in both MLB and the NFL. For the people that lose their mind for snubs, get over it. Fans being in charge of some of the vote is a terrible idea, but it always works itself out. Tim Tebow made the AA All Star team and hit a double in the game. I do not condone Tebow getting called up to the bigs based on merit. If he makes it based on his name, I'm completely okay with that. There are many other players in the Mets organization that have a chance to be a good major leaguer and Tebow doesn't have that ceiling. I am hoping that Tebow gets called up, but don't expect him to be a world beater when he does. I've heard this could be the best World Cup we've seen in our lifetime. I don't know about all of that, it is soccer after all. The US not being in the field really hurt the shine for me. Maybe we will be good enough to actually make the tourney the next go around. Kyle Tucker is up for the Astros. He is not going to have the pressure to be the next big thing because everyone on the 'Stros are the next big thing. If you are playing in any type of keeper league, or anything more than a 12 team league, add Tucker and hope to catch lightening in a bottle. Sunday was a jam-packed first day of NBA free agency and McA takes a look at some of the most surprising and unexpected developments. As we are roughly six weeks out from Major League Baseball’s non-waiver trade deadline, McAuliffe decided to sit down and look at the standings and find the 15 teams with the best chance of making the postseason and what their team needs are. Baseball is back, so it's time to write our first post of the season. I couldn't be happier the season is here, so here comes the daily waiver wire fodder. Kennedy has shown flashes of greatness from time to time. The Angels aren't the best match-up right now, but there are slim pickings on the wire for Thursday. Escobar has been having a good start to the 2018 season and gets to go against a young pitcher that has struggled with control. The problem with adding hitters against the young pitchers is that if Giolito is on, he could make this add look very questionable. Skaggs is throwing hard again and has a 1.69 ERA and a 1.19 WHIP. He should be added everywhere...PERIOD. TB12 brought home the award, and I think that was probably the correct decision. The Patriots weren't the juggernaut that all the "experts" thought they would be, but they were still the best team in the NFL, yet again. 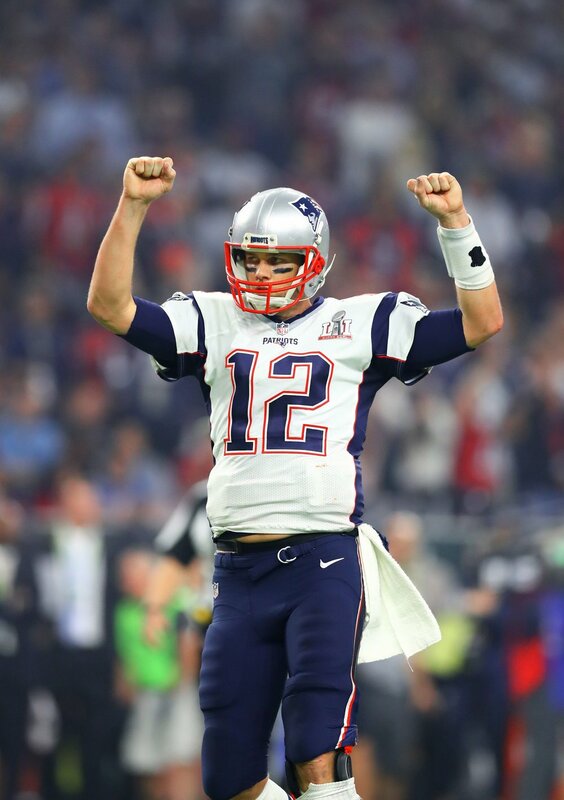 Brady was poised to win the award again once young gun Carson Wentz went down with an ACL. Todd Gurley was also getting some ground swell but in our NFL today, QB is king. I'm sure TB12 is happy to receive this trophy, but the one that he really wants will be decided tomorrow. I think most of us already gave Watt this award before the season even started. Watt didn't get to have the NFL season that he would have liked, but I think this is a great consolation prize. Watt raised an obscene amount of money in efforts to help the Houston area in wake of the hurricane Harvey tragedy. Over $37M is definitely worth this award. Well done JJ. In my personal opinion, this was absolutely the correct decision. I also believe that anyone that has an opinion otherwise needs to revisit how they felt about Jared Goff after last season. If all McVay did was turn Goff from a bust to a Pro Bowler, that would have been enough to win the award for me. However, that's not all he did. McVay also led the Rams to the NFC West title and turned a flailing offense into a dynamic unit that could go off any week, and did most weeks. The Rams are a young, up and coming team and that goes for McVay as well. TGIII has been one of my favorite players from back with he was a freshman at UGA. I have a good friend of mine, Ricky, that we would debate about him being the best freshman RB in the country. He came into the NFL a little unceremoniously, coming off a torn ACL. Last season was a lost season for Gurley, the Jeff Fisher led offense was about as bad as my son's 8 year offense, but this season was his year. Todd was the best RB in the league and that's saying a lot when Le'Veon Bell was still a part of it. Gurley was getting some steam to win the MVP, but that award has become the QB only club. Expect Gurley to continue to be in this discussion for years to come. I listed to a former offensive lineman talk about this award and they debated between Donald and Calais Campbell. Both are deserving players but his logic for picking Donald was this; as a lineman, the one player you don't want anything to do with is Aaron Donald. I never played in the NFL, so I'm going to take his take as golden, and say this was the correct decision as well. As a closet Jags fan, I would have loved CC to win, but Donald is an absolute maniac. Has there ever been a year that 4 players could have won the award on any other given year? Kamara was the best of the bunch and was awarded for that. Kareem Hunt, Leornard Fournette or Christian McCaffrey could have won this award if it wasn't for the pure efficient dominance of Kamara. That's not even mentioning Deshaun Watson. This bunch of rookies, especially the backs are going to a whole lot of fun to watch for years to come. Kamara shared a backfield with Mark Ingram and could have an even bigger workload in the coming seasons. If anyone would care to listen to me, they would have heard me screaming from the rooftops about Lattimore. In his first season in the NFL, he has already established himself as a top level shut down CB, and a complete game changer for a defense. Lattimore did have some injury concerns, but when he was in the lineup, he was special. There were other defensive players that made a difference for their teams, but there wasn't a close second place to Lattimore for this award. Allen played a full, injury free season and showed just how good of a player he is. Unfortunately, Allen seems to be available for this award every other year. Allen is one of, if not the best short target WR in the NFL. Allen is going to keep producing at an elite level, especially with Rivers behind center. Here is to having Allen never be up for consideration for this award again. The final week of the regular season saw some weird things. Brady had under 10 points in a Patriots win, Jordan Howard had under 5 points against the worst run defense for fantasy, and Brandin Cooks, Julio Jones and Mike Evans combined for under 10 points. Not what you’re looking for if you were looking to get into the playoffs with a late season push. Bortles had a really good matchup with the Colts, and he actually didn’t Bortle it. He threw for over 300 yards and had 2 TDs with no picks. Blake was a fantastic fantasy option a couple of years ago because of how bad his team was, he’s not that anymore. 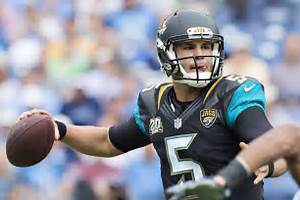 If Bortles can stay away from the big mistakes, this team can go as far as it wants, yes, as far as it wants. The Lions defense like to give up [points to running backs, so this really isn’t too big of a surprise. Collins was a love of mine early on, and I’m glad that he has rewarded my willingness to add him early. Collins is the workhorse back in Baltimore and is a must start for the playoffs. Hill is the best boom or bust candidate in the NFL. One week Hill might catch 7 balls for 41 yards and the next week he catches 6 balls for 185 and 2 TDs (that was this week). You can’t ever sit Hill and with the KC defense hemorrhaging points, Hill could very well win a few championships. We have been waiting for this TE class to emerge outside of Evan Engram. OJ Howard has had his games and now Njoku showed a little of his promise. With Corey Coleman and Josh Gordon back on the outside, Njoku could be seeing some favorable matchups. Maybe Cleveland has a little something brewing in regards to their skill position players. It’s playoff time! Yes, we are talking about playoffs! For many of us this is the last week of Fantasy regular season. These could be the rankings that determine if you're playing for the $$$ or in the consolation bracket. First of all, with this season of thanks just passing, I want to thank everyone for your continued support and being understanding as this little Fantasy Football brand gets some changes off the ground. Also, much gratitude for allowing us the time off last week to spend with our families. Players you should target in your league's Week 13 Waiver Wire. Scoring is ESPN 1/2 point PPR scoring. Owned Percentages using ESPN. Week 12 was a little strange for QB's in Fantasy. Three of the top 7 Fantasy QB's would qualify for this column (being less than 50% owned). Josh McCown NYJ had 30.1 Week 12 points, Case Keenum MIN 29.3 and, Brett Hundley GB 25.4. I would need to be in ROUGH shape at QB to consider adding any of these for a playoff push. They all have decent Week 13 Matchups but McCown and Keenum don't play a defense in bottom half against QB's after Week 13 and Hundley plays Minnesota in Week 16, which for many leagues is Fantasy Championship. FYI Philip Rivers LAC who had 33.9 points Week 12 against the Cowboys ends the year playing the 23rd, 19th, 21st, and 20th defenses against QB's. He is still available in 34% of leagues. Rod Smith DAL 11.8 Week 12 points. Available in 79% of leagues. If I was forced to own a Cowboys RB until Zeke came back it would be Smith not Alfred Morris. Morris will absolutely get more carries but that is where his upside ends. Rod Smith is slightly more involved in passing game loggin 6 catches over last 3 weeks and being a 6'3" 235 lb converted Fullback he could get the goal line carries as exemplified on Thursday with his 2 yard TD carry. Devontae Booker DEN 4.3 Week 12 points. Available in 75% of leagues. Booker has been nipping at CJ Anderson's heels for a few weeks now and finally in Week 12 he out-carried and out-touched him. His 6 carry for 11 yard and 2 catch for 22 yard performance was by no means something to write home about he has looked more explosive and well-rounded than Anderson, making him the back to own in Denver with a Week 13 road trip to the terrible Dolphins. Jacquizz Rodgers TB 4.2 Week 12 points. Available in 94% of leagues. Rodgers only has value when Doug Martin is out. Well, Doug Martin left Sunday's game with a concussion. The whole Tampa backfield is a mess but if Martin does miss Week 13 a matchup with the 25th against RB's ranked Packers may be an okay play for Rodgers if you're missing Martin. Peyton Barber may vulture some carries as well but pay no mind to his 12.7 Week 12 points, his stat line was 6 carries 7 yards and 2 TD's which both game when game was well in hand for Atlanta. Rex Burkhead NE 18.3 Week 12 points. Available in 56% of leagues. A mainstay of this column, Burkhead is the real deal averaging double-digit fantasy points since his return 5 weeks ago. Needs to be owned in all leagues and started in most. Zay Jones BUF 10.8 Week 12 points. Available in 89% of leagues. The rookie from East Carolina started the season with strong bust possibilities, but has recently bounced back. He still is not reeling in targets at a rate owners would like to see, but he is for sure still being targeted. Jones has a stout 38 targets over the last 5 weeks, turning those into 18 catches and 2 TD's. If Kelvin Benjamin misses time with the knee injury, Jones should be the main benefactor playing catch-up to the Patriots next week. Marquise Goodwin SF 9.8 Week 12 points. Available in 88% of leagues. Two words: Jimmy Garoppolo. Goodwin has been decent even with CJ Beathard at QB putting up more than 65 yards and 7 fantasy points in 5 of the last 7 games. We don't know much about Jimmy G as a starter, but it's hard to imagine him being a downgrade from Beathard and his 69.2 QBR. Also, if Goodwin's foot injury hampers him San Francisco has two rookie WR's that would fill the void in Kendrick Bourne and Trent Taylor. Of the two I would prefer Bourne. Oakland WR's Seth Roberts, Cordarelle Patterson, Johnny Holton all available in 99% of leagues. With Crabtree serving a two game suspension and Amari Cooper most likely missing Week 13 due to injury someone is going to need to take advantage of the terrible Giants pass defense. The TE Jared Cook will be the main target but the WR's will also need to play a part. Roberts is probably the safest play with Patterson providing the most "boom or bust" potential and Holton being the biggest wild card. Julius Thomas has become a rare bright spot on a sad Dolphins offense. Julius Thomas MIA 7.7 Week 12 points. Available in 74% of leagues. Thomas started the season rather slowly but has bounced back the last 4 weeks averaging 4 catches and 43 yards in that span, adding 2 TD's into the mix. A Week 13 game against the 31st against TE ranked Broncos who have allowed a TD to TE's 5 of last 7 weeks should make him a strong TE1. Ricky Seals-Jones 15.2 Week 12 points. Available in 98% of leagues. What's the old saying? Once is chance, twice is coincidence, third time is a pattern. Well we are in the coincidence stage with Seals-Jones. I wouldn't trust the 6'5" 240 lb rookie converted WR in my starting lineup just yet but he is certainly a deep-league stash and if you are in a Dynasty league you need to add him RIGHT NOW, he is only 22! Los Angeles Chargers 18 Week 12 points. Available in 58% of leagues. Aside from the "they play Cleveland Week 13" copout answer, the Chargers Defense has been absolutely on fire since their Week 9 bye. They have logged 9 INT's and 3 defensive TD's in last 3 weeks. After a couple of weeks off, MCM is back! Things have been a little hectic for the Wilson family, and for the FNH family. After lots of changes, we are in a good place, for both families. Rivers has a nice schedule going forward. Next 4 weeks he has Cle, Wsh, KC, and the Jets. Rivers could win some very important games for you going forward. Expect Rivers to be a top 10 QB for the rest of the season. Mixon was suppose to be the most talented RB in the draft this year. He’s been MAYBE the 6th most productive (Fournette, McCaffrey, Cook, Hunt, Kamara). It was nice to see Mixon go over 100 and get a score, but it was against Cleveland. I never thought Mixon was going to be a superstar to start his career, and I still believe that. Take this while you can. Anderson had a good end of the 2016 season when Bryce Petty took over for the Jets behind center. Most of us thought that Anderson was a QB dependant player. 4 straight double digit games in standard scoring has proven otherwise on that one. I like Anderson as a 2 going forward. What the heck is going on here. Last 2 weeks, RSJ has 17.4 and 13.2 points in a standard league. He didn’t have a point before that. 3 and 4 catches respectively in the last 2 weeks. Apparently this guy is a thing. Such is life for the TE position. I appreciate everyone’s patience in this time of change and craziness.